She went swimming for the first time, and the look on her face was priceless. 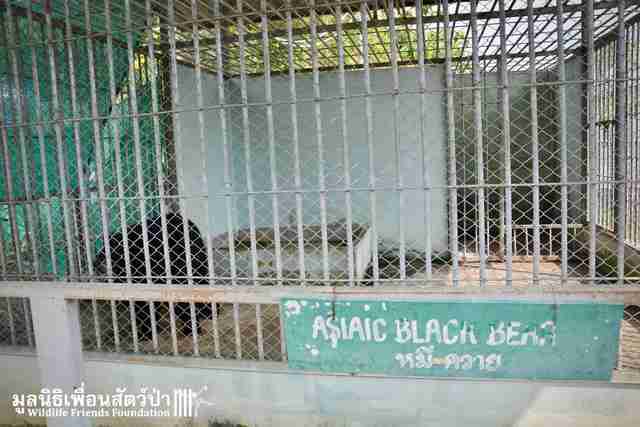 It's hard to know how long 15 years felt to Joy, an Asiatic black bear who was kept as a pet when she was a baby, then locked up in a cage after she got too big to handle; it's probably safe to assume that such a long time spent by herself in such a small space felt like an eternity. 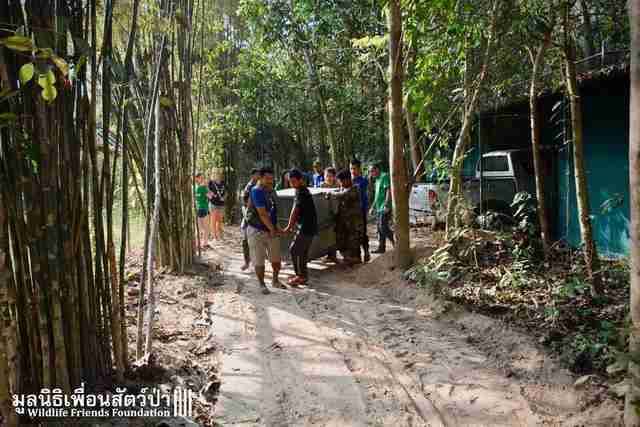 So when people from Wildlife Friends Foundation Thailand (WFFT), a sanctuary and rescue center for animals in Thailand, arrived in the yard this week, no one was totally sure how Joy would react. 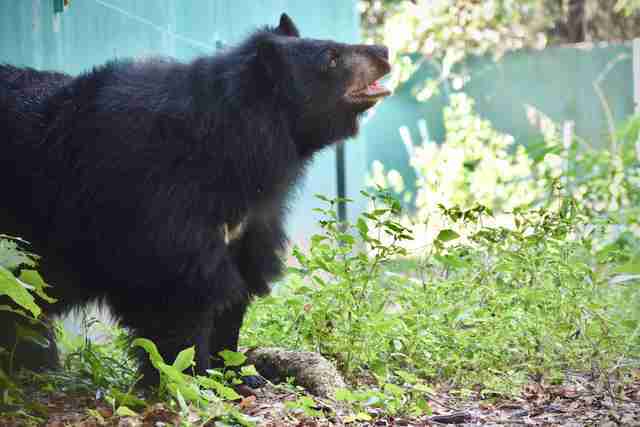 The people at WFFT learned about Joy when her owners finally realized they couldn't condemn her to a whole life in a cage. 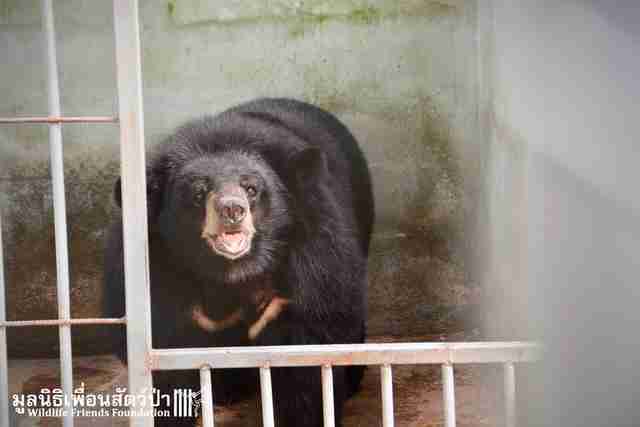 "They had decided after keeping her for years that it was time to find a more suitable home for her," WFFT wrote. "They called us to see if we could help." 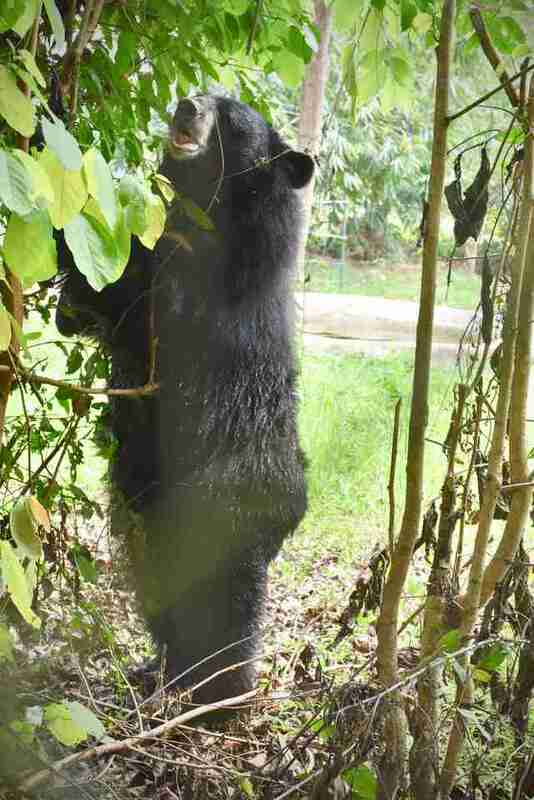 When the rescue team arrived at the house, they heard a thin story of how the family came to own this bear, whose species is already considered vulnerable to extinction because of hunting and habitat loss. 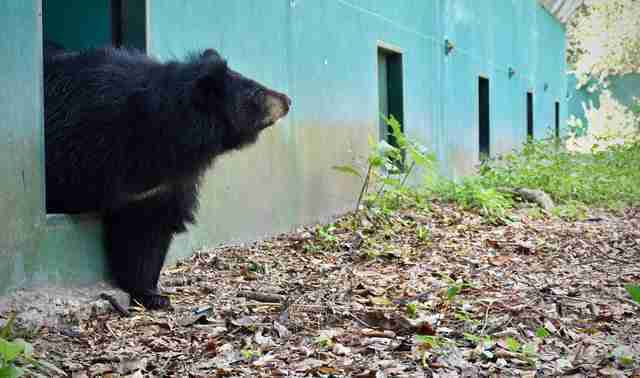 "They explained very vaguely that someone had given Joy to them when she was still a cub, and that since then they kept her as a pet," WFFT wrote. "It is likely that she was poached from the wild after her mother was killed so her body parts could be sold in the illegal trade." 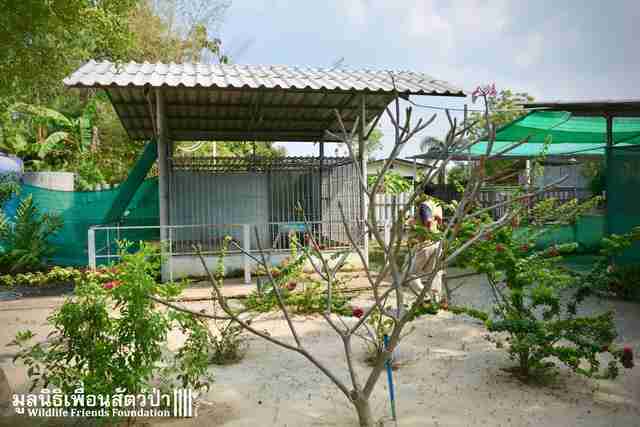 When Joy became too large to handle, she was put in the cage in the garden where she stayed by herself for 15 years — as if she was sentenced to solitary confinement just for growing up. 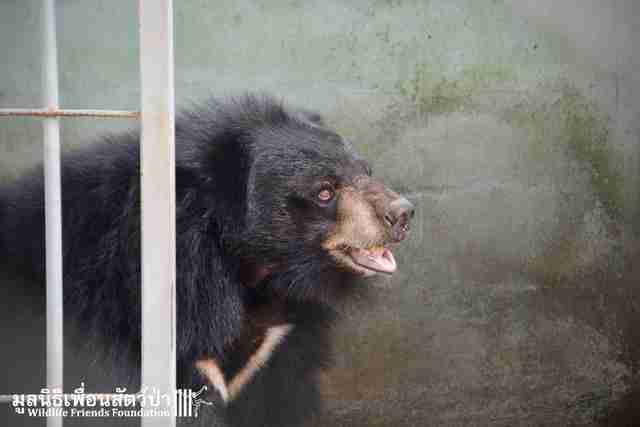 When rescuers opened Joy's cage, she wore an expression of excitement. Sadly, Joy's story isn't so unusual. 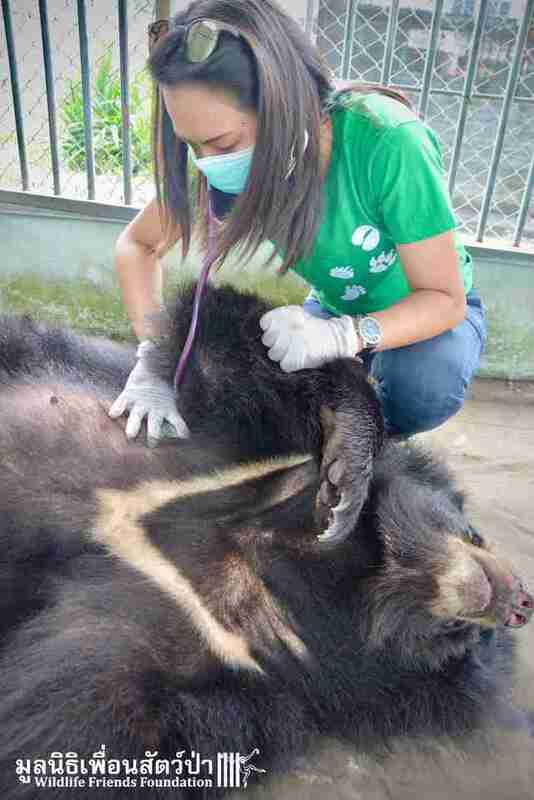 Many bears like her are captured and have their bile extracted because of demands for the substance in traditional Chinese medicine. Cubs of captured bears frequently end up being sold as pets, without any thought about what their lives will be like when they get big. 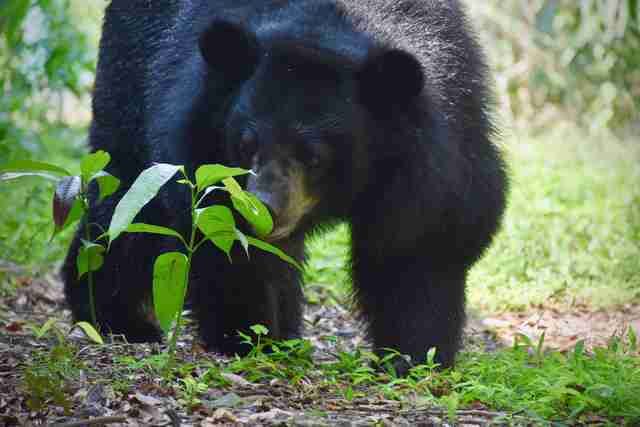 Also, habitat loss means that there are fewer places in the wild for the bears to remain safe from human beings. 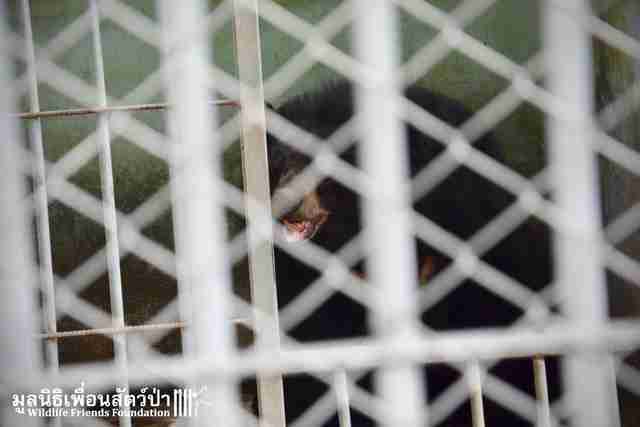 "Many captive bears are kept in deplorable conditions such as these, they cannot express natural behaviors or experience natural things," WFFT explained. "Joy had not felt grass under her feet, been able to climb trees, seen the open sky or swim in natural streams for over a decade." Thankfully, Joy's life was about to totally change. 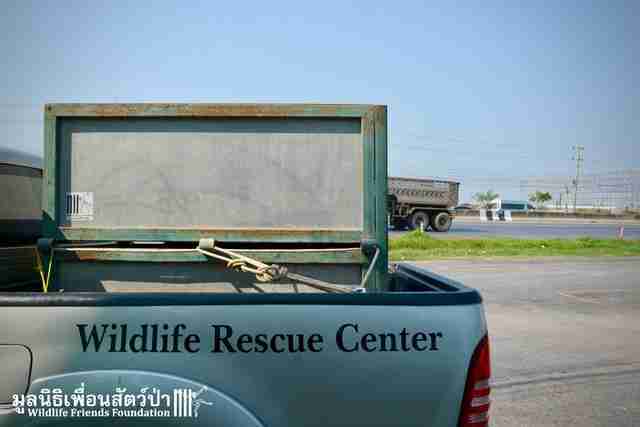 Rescuers examined her to make sure she was healthy enough to start her new journey. 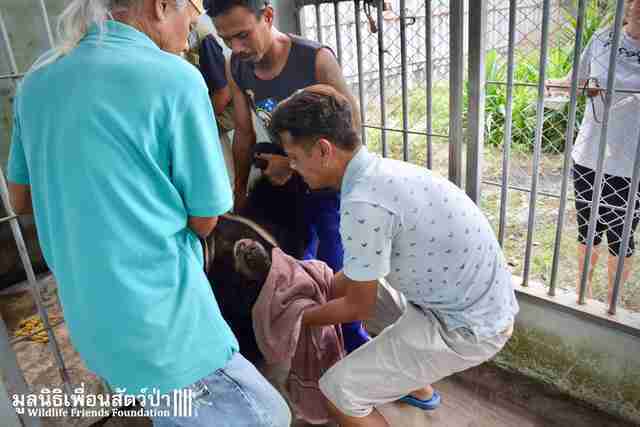 It took several people to lift the anesthetized bear out of her cage — the first time she'd left it since being locked in there so many years ago. Then Joy was on her way to a life she could never imagine. 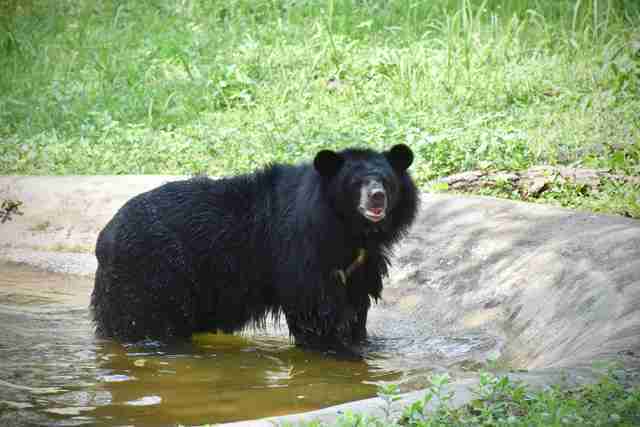 Rescuers welcomed Joy to her own enclosure at the sanctuary, with access to expansive land, full of fresh grass, trees to climb and even a pond of fresh water in which she can swim. Once she was ready, she peeked her head out of her enclosure, and put a paw on the leafy ground. She almost looked like she couldn't believe it. The concrete floor had been transformed to a forest floor. The smells of plants and fresh air surrounded her. "Fifteen years is a long time in solitary confinement," WFFT wrote. "She can once again learn how to be a bear." 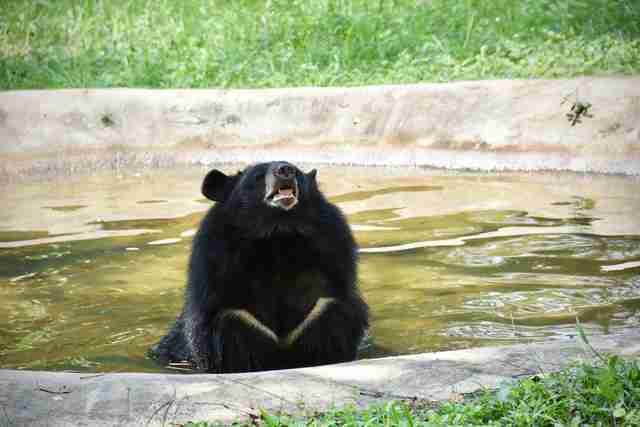 Joy took a dip in her pond — and her genuine joy was unmistakable. Rescuers don't want to rush her — they are giving her some time to get used to her new life before trying to introduce her to any other animals. But she may be ready soon. 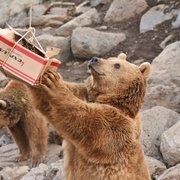 "We are hopeful that she can join one of the bear groups or be paired with another and form some new friendships," WFFT wrote. 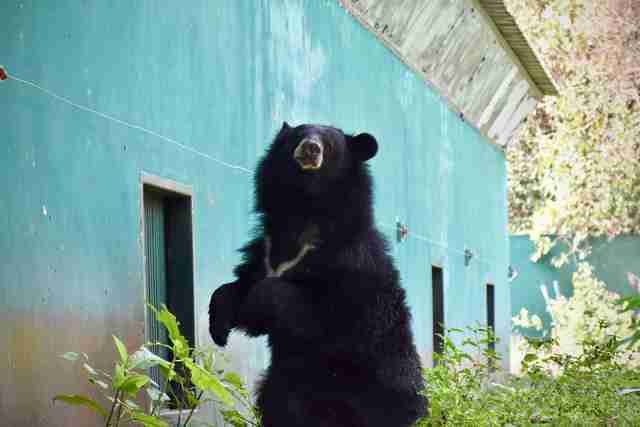 To help welcome Joy to her new home, and help give more animals the lives they deserve, you can make a donation to WFFT.